How Can Intervention Services Help You? HomeHow Can Intervention Services Help You? Is your loved one addict to alcohol or drugs? Is your loved one dealing with a process addiction, like an eating disorder or gambling? Living with an addict is stressful and heartbreaking at the same time. There are many questions running through your mind constantly. Where is he or she? What is he or she doing? Will I get a call from the police station? Will I ever see him or her again? Is he or she stealing money from me to pay for their drug of choice? The constant worry of living with an addict puts a strain on your everyday life. Not only does this strain affect your life, it affects your relationship with the addict and everyone else in your life. If you are constantly worrying about what your loved one is doing, you do not have time to live your own life. Being in a constant state of chaos and confusion, it can be difficult to see the right path to choose. In some cases, looking for treatment centers and looking up insurance coverage, will only add more confusion and questions. Is this the right center for my loved one? How do I know this treatment center is safe for my loved one? How much will all of this cost me? At Intervention Services, we can guide you down the right path to get your loved one on the road to recovery. We are one call away. Making this one phone call can change your life and relieve you of the stress and burden that comes along with dealing with an addict. When you call Intervention Services, we will do all of the work for you. We are a nationwide company that deals with treatment centers all over the United States. We will be able to find the right center for your loved one, as well as provide an intervention for your entire family. You may be asking why you need an intervention, instead of just getting your loved one into treatment. An intervention lays the ground work for the future. By booking an intervention, you will get a professional interventionist to train you on how to adjust your behaviors, to stop the enabling process that your addicted loved one has set in motion. Having the interventionist come to your house and help everyone in your family adjust to this new lifestyle, will put everyone on the same page and help build a support group within the family. Our interventionists have a very high success rate in convincing addicts to go to treatment. They are available 24 hours a day, 7 days a week. They will work with you and your family to ensure the proper steps are taken when the intervention takes place, when they are transporting your loved one to a treatment center, and even when your loved one returns home from the treatment center. On top of having our professional interventionists at your side, you also have our counselors as well. Our counselors will help find the right treatment center for your loved one and help take care of any financial questions you might have. Our counselors have been through similar situations to yours and will serve as a support system through the entire process. When we say the entire process, we do not just mean getting your loved one into treatment, we mean through their entire recovery process. This means we are here for you forever, during relapses and any other event that might come up. Our counselors are also available 24 hours a day, 7 days a week. Calling our counselors is free and easy. They are always here for you. So what does this mean for you? By calling Intervention Services for free, you can take all of the stress and worry off of your plate and begin to resolve the problem at hand. You want to be able to have a healthy relationship with your loved one that is addicted. You want your loved one to recover and start a healthy, productive life. These are all positive aspects of life that you deserve. Confronting an addict is a difficult process to handle on your own. It may even end in a negative way that pushes your loved one further away. Why juggle the stress, emotions, and chaos on your own. Let our team take on the task of setting this positive action in motion. Do you still have concerns over pricing? Calling can be a daunting task when you have financial stress on your mind. Our counselors are very knowledgeable on health insurance policies, as well as which centers take what kinds of insurance. They will be able to guide you through the financial side and ensure you that you are making the right decisions. Even if you do not have insurance, our counselors will still be available to help you in any way possible. They will help come up with a game plan on what needs to be done to ensure your loved one gets treatment. Do not lose hope, just because of finances. The number one goal is getting your loved one into treatment and on the path to recovery. 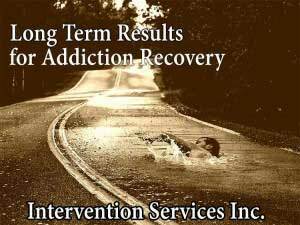 Intervention Services is committed to helping families as well as addicts. We pride ourselves on our success rate and never give up on anyone. This is what we live for. Helping people is our main goal. We do not just look at interventions as a job. We look at interventions as saving lives. Each successful intervention means one less person dying from an overdose, one less person going to jail for illegal activities, one less person causing a drunk driving accident that could lead to other innocent people being injured or killed, and one less family dealing with the heartache of dealing with an addict spiraling out of control. Do yourself and everyone else around you a favor. Get your loved one the intervention and treatment they need to break through their addiction and lead a happy life.